Our slim StageBox series is offered in 8, 12, and 16 channel options. 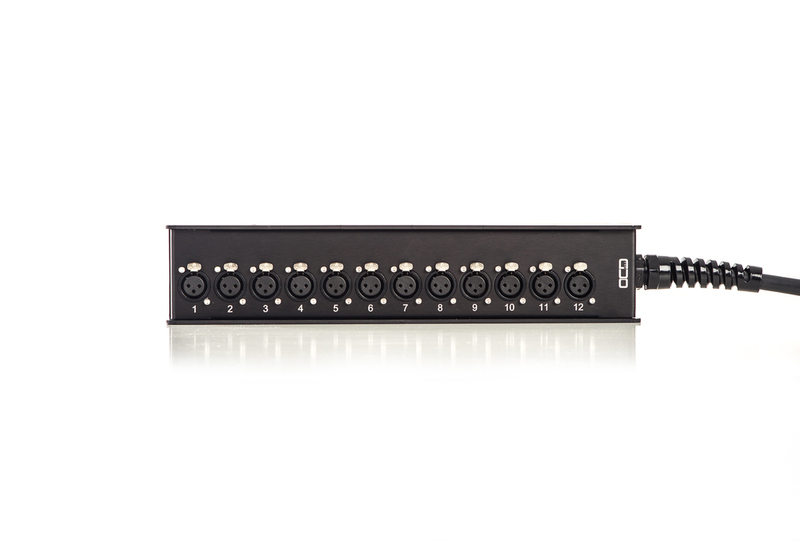 All utilize high-quality Neutrik XLR’s, and are offered in a variety of multi-pin input connections, as well as a hard wired option. With our custom PAL labels, you will never have to use tape again to label your channels.